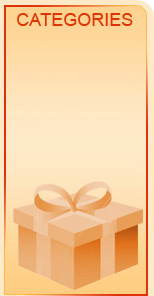 Note: You must be 18 years or older to make use of www.giftshop.com.cy services. Through our Web Site and emails, including when you place an order, we may collect the following information: your name, telephone number, email address, billing information (credit card number, expiration date and billing address), occasion type (Name day, Valentine�s day, Anniversary etc. ), products purchased, any relevant information and the gift and message recipient's name, address, telephone number and email address. Information you enter may be collected even if you cancel or do not complete an order. We use information we collect from you to process your orders, to provide an enhanced and more personalized shopping experience and to inform you and your gift and message recipients of offers and discounts from www.giftshop.com.cy. We DO NOT make such information, including aggregated information, available to third parties who trade or rent information for direct marketing purposes. We may disclose any information you provide to www.giftshop.com.cy when we believe disclosure to be appropriate to comply with future promotions we or our affiliate web sites offer; to protect the rights or property of www.giftshop.com.cy, its users, Sponsors, Providers, Licensors, or Merchants. Your instructions will apply to information collected by www.giftshop.com.cy, not to information collected on other Web sites.